Stack your clothes and media accessories neatly away in this four drawer media chest. 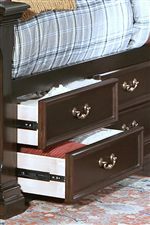 Four bottom drawers have plenty of room for clothing, movies, games, and media accessories, while the top component shelves are open-faced to perfectly store and use your gaming system, DVD or Blue-Ray player, or stereo. 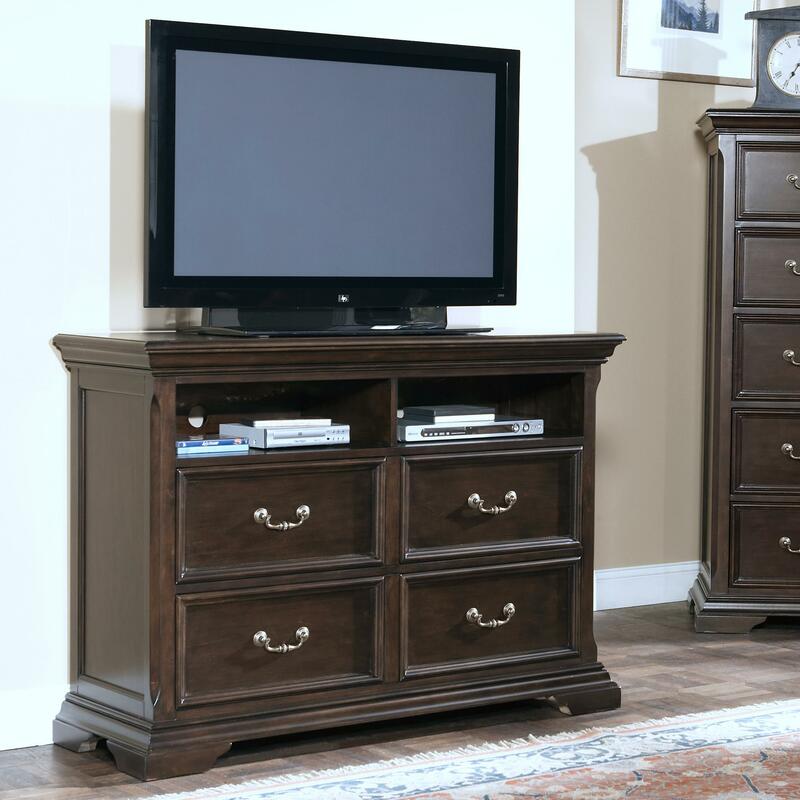 This media chest is faced with decorative bail handles, offering a perfect accent for your master bedroom suite. The Timber City Four Drawer Media Chest with Component Shelves by New Classic at Michael's Furniture Warehouse in the San Fernando & Los Angeles area. Product availability may vary. Contact us for the most current availability on this product. 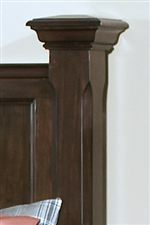 The Timber City collection is a great option if you are looking for Traditional furniture in the San Fernando & Los Angeles area. Browse other items in the Timber City collection from Michael's Furniture Warehouse in the San Fernando & Los Angeles area.